-> Understanding how non-coding RNAs contribute to cell maintenance and disease development with a primary aim of defining new targets for disease intervention. -> Creating novel bioimaging and delivery systems for gene medicine (e.g. siRNA, miRNA mimics, antimiRs) with a specific focus on inflammation, cancer, influenza, and regeneration of damaged tissue (tissue engineering). -> Designing and constructing functionalized self-assembled DNA and RNA nanostructures capable of complex biosensing, coupled with controlled action e.g. drug release, enzyme activation, and receptor signaling. We are working with RNA and DNA biochemistry, chemical modification of nucleic acids, cell biology, delivery of oligonucleotides to cells and animal models, fluorescence microscopy, atomic force microscopy (AFM) of nucleic acids. 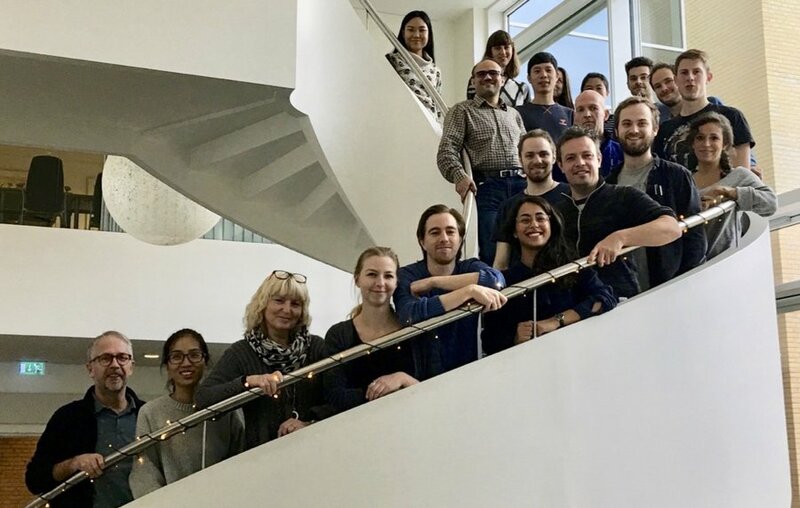 The Kjems lab is located at the interdisciplinary Nanoscience center (INANO) and at the Department of Molecular Biology and Genetics (MBG), both parts of Aarhus University. We design the structure and function of nucleic acids for applications in nanomedicine and nanotechnology. The main approaches are structural DNA nanotechnology for rational design of novel molecular devices and selection strategies for aptamer development. Apart from standard molecular biology techniques our main tools are computer modelling, chemical modification, and biophysical characterization. We study miRNA; the biogenesis and functionalities in context of cancer (bladder or oral) or in context of basic research to understand the mechanisms at stake. Furthermore, we optimize siRNA design towards high knockdown efficiency, low toxicity and minute off-target effects for superior siRNA performance in vivo. We develop drug carrier systems such as chitosan to deliver mainly siRNAs in vitro and in vivo. One of our main goals is to use siRNAs for therapeutic approaches in certain inflammatory diseases. Furthermore, we have a focus on optimizing bioimaging using for instance magnetic nanoparticles in combination with MRI. Last but not least we are also using nanoparticle functionalized 3D scaffolds (functionalized with e.g. siRNAs) and stem cells for a number of tissue engineering applications.